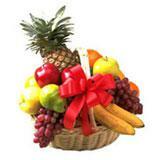 Fruits Basket containing Fresh Seasonal Fruits that you can send to your loved ones through GiftsAcrossIndia.com. 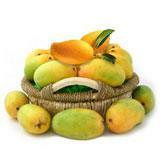 Let your loved ones in all cities in India taste 1/2 Kg. 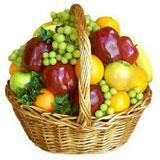 Black Grapes, 6 Pcs. Oranges, 1/2Kg. 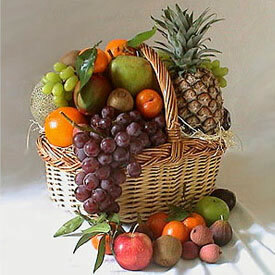 Apple, 6 Pcs. Chiku, 1/2Kg. 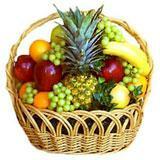 Green Grapes, 1 Pineapple with this fruit basket. 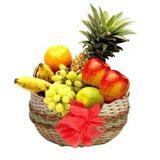 With this send other Gifts across India on any occasion or festival.